In the spring of last year as some snow fell in the city I headed to the foothills to photograph. 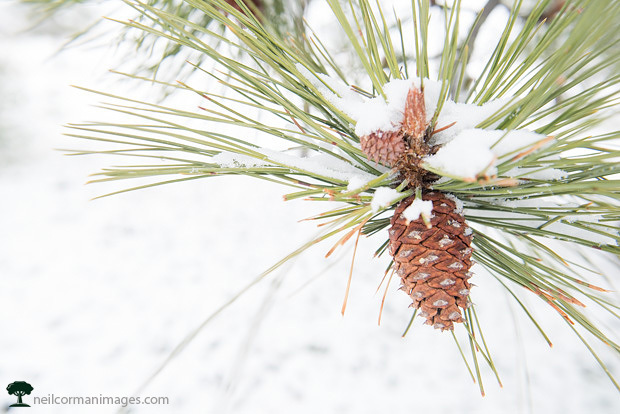 I soon came across a tree with many pine cones where I spent some time taking pictures. With the fresh snow in the tree and a small blanket of snow as a background this was one of my favorites from the images I took.